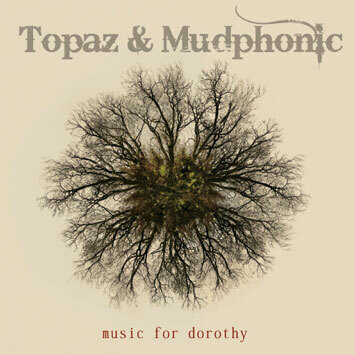 Topaz McGarrigle recently returned home to Austin TX to form his new band Mudphonic. Born and raised in the Texas hill country, Topaz got his start as a young child playing saxophone on the streets of downtown Austin. The Texas blues and soul that he soaked up as a child remain a constant in his playing. His love of music solidified as a high school sophomore in London during the height of the acid-jazz scene. Topaz then moved to Washington D.C. where he attended The Duke Ellington School of the Arts for jazz, where he studied with numorous jazz legends, started his first band and began his recording career with Eric Hilton of Theivery Corporation. Topaz then moved to New York City where his musical identity began to take shape in the muscular twists and turns of his phrasing, cool, soulful feeling and grooving rhythmic energy. His band started evolving organically at weekly gigs in the hip downtown haunts of Manhattan. From the beginning, fans packed the clubs dancing and grooving to the fresh sounds. It was in New York that Topaz signed his first record deal and began touring nationally. Since then he has released two records with international distribution, composed award winning movie soundtracks, performed on BET and toured extensively across the United States. He has performed with the likes of Norah Jones, The Wailers, Widespread Panic and Robert Randolph. He has played all the major festivals such as Bonaroo, New Orleans Jazz and Heritage Festival and Austin City Limits Festival. Topaz has now returned to his hometown of Austin, residing on the banks of the Colorado river where he is delving into his hill country roots by bringing some blues singing and harmonica playing into the mix of high energy dance grooves.